Our auditorium is divided into three areas. The majority of our seating is in the Stalls. Stalls seating may be reached via step-free aisles. There is a slight incline to all rows except for Row R at the back of the Hall. 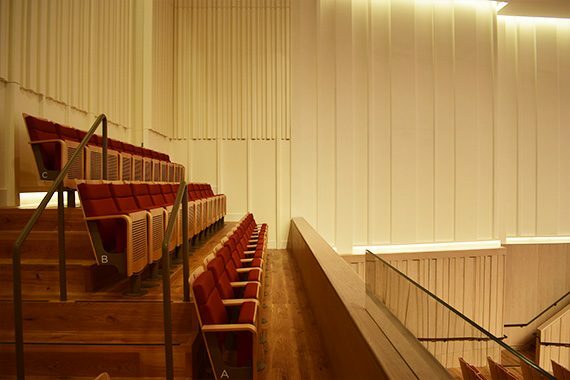 Handrails are provided at both sides of the auditorium. All areas of the Stalls offer excellent visibility, and there are 6 wheelchair spaces in this area. 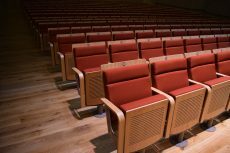 Our extendable stage means that for certain performances, the front row of the Stalls will be Row E.
A small number of seats are in the Balcony. This is a raised section behind and above the Stalls, offering excellent visibility. Row B of the Balcony is accessed via 3 steps, and Row C via 6 steps. Row A is level. There is one wheelchair space on Row A. Due to the height of the Balcony, this area is not recommended for vertigo sufferers. Please note that Balcony tickets may not be available for all performances. 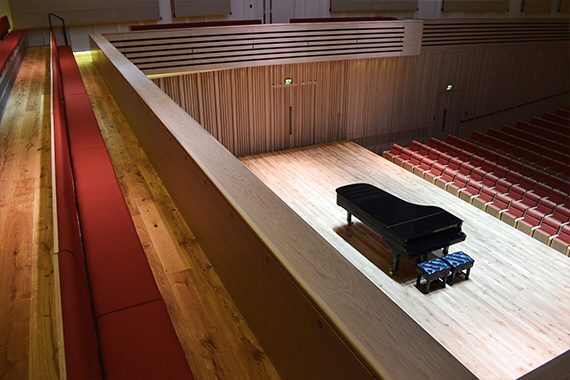 The choir Gallery is situated behind the stage, and will often be used for choirs and additional perfomers as well as for audiences. For this reason, tickets in this section may not be available for all performances. Gallery seating is accessed via a flight of stairs, with handrail, from Stalls level. 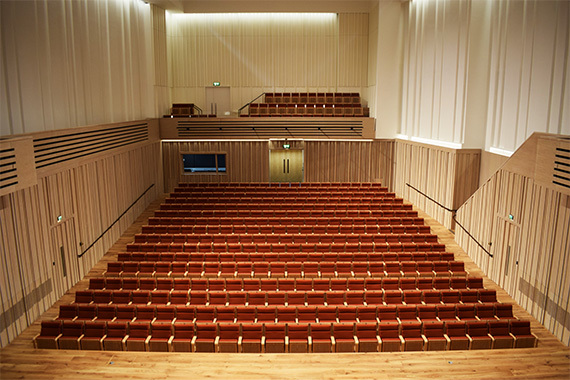 Seating is on benches, where both width and legroom is more limited than in other areas of the Hall. In Row A, visibility may be slightly restricted; visibility in Row B is more severely restricted. Gallery seating is priced to reflect these restrictions.